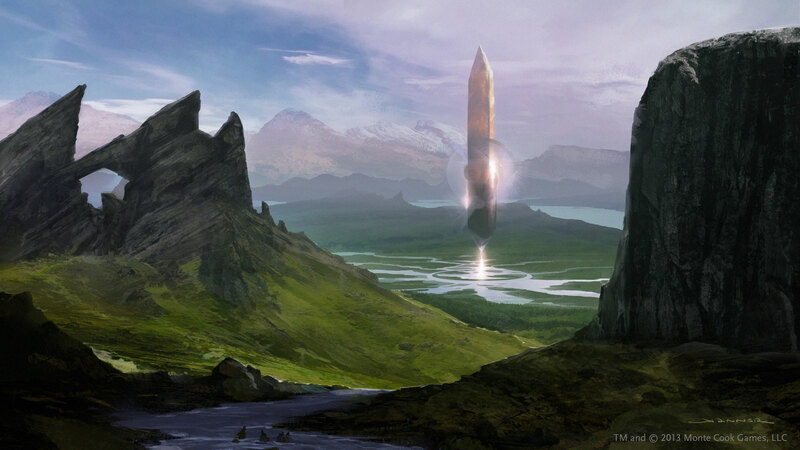 The Ninth World of Numenera. 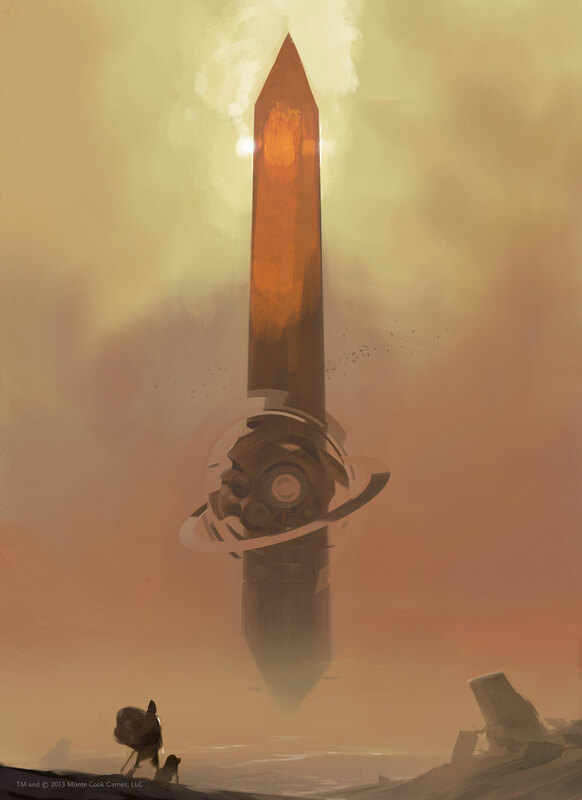 You’ve heard and seen all the wonderful things people are saying about Numenera and I agree with most so far…obviously since this website wouldn’t be here without my love for the game. 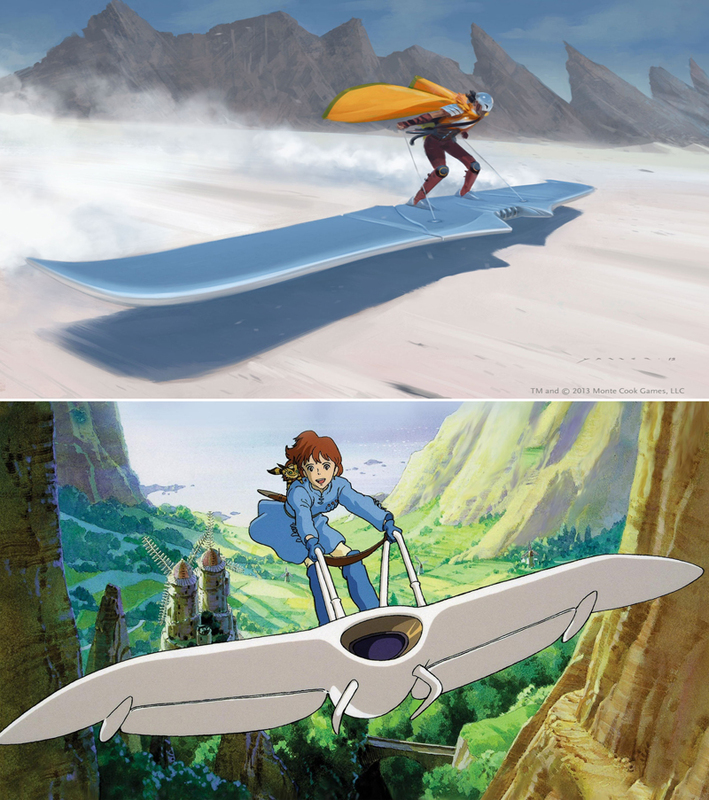 Conveniently enough, Monte Cook lists the anime film Nausicaa of the Valley of the Wind and French artist Moebius as influences for Numenera. Nausicaa happens to be one of my favorite anime films, and Moebius I consider one of the greatest artists ever. The influence is evident from the environments of the Ninth World to the Windrider vehicles, clearly an homage to Nausicaa’s wind rider. I’ve always wanted to play in a Moebius inspired RPG, now I’ve got that chance! Character type or classes consist of the Glaive (warrior), Nano (mage) and Jack (rogue). Each of the types have their own cool specialties and gain unique abilities like the Nano’s 6th level ability of “Traverse the Worlds” where the character can transport himself to another planet, dimension or reality. Even though there’s a narrow field of classes to choose from, it’s tough to pick what you want to be, given the abilities each type offers. 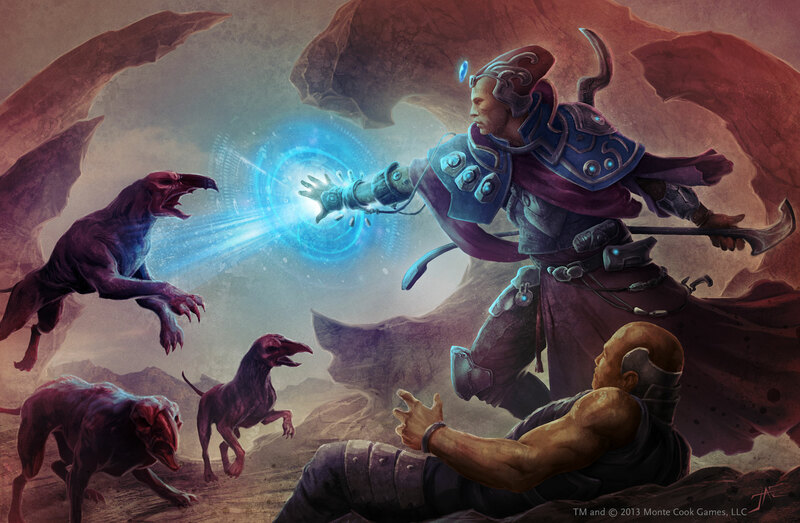 Being in a Science Fiction & Fantasy setting affords Numenera to play with some unusual creatures that sometimes blends the two genres in some spectacular and horrific ways. Like the Callerail, a giant beast made of wood, steel and stone that adds inorganic material to his own body. #7 – What is weird? 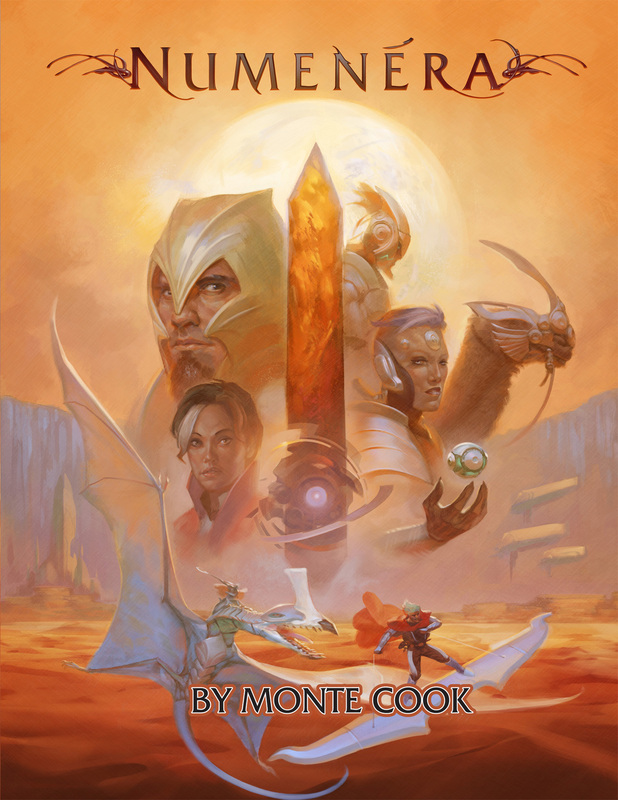 Monte Cook says that Numenera is a weird game. What type of elements constitute a weird game? In chapter 23 titled “Realizing the Ninth World,” Cook talks about how the Ninth World should be portrayed to realize the weird elements. A perfect example is the section “Maintaining the Weird,” by describing things and not defining them, the game is made more mysterious and weird. In my opinion it’s one of the most important chapters in the book for GMs to understand how Numenera differentiates itself from other campaigns. I love the cover art! If I saw the above cover in a book store without knowing what Numenera was, I would pick the book up and check out what it was all about. 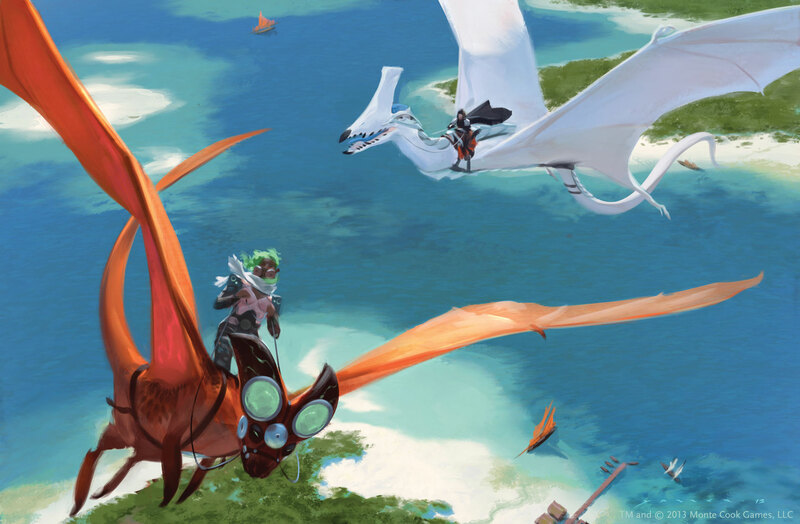 There’s a lot to be curious about on the cover from what appears to be an aerial battle with a giant lizard and glider, some fantasy inspired characters, some technology thrown in and a weird structure stuck in the middle. It’s a glimpse of what you’re getting in the book. My first game was D&D 3.0 and then later Pathfinder which were both pretty rules intensive, and at times got in the way of the game, especially the time it took to check out a particular table for example. Numenera really has 1 table that’s important after character creations are over and done with. Most everything you need to know about roles for or against NPC/enemies can be found on this table. Numenera has simple but effective rules that don’t get in the way of fully immersing the GM and players into the Ninth World. 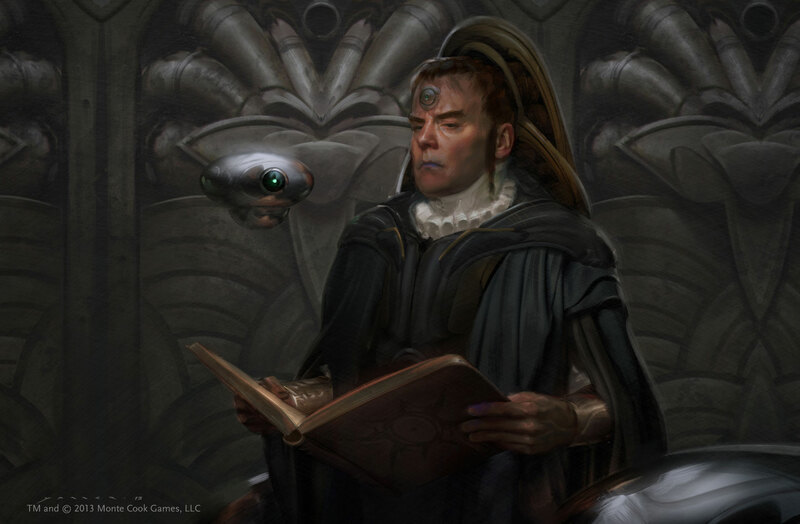 Instead of having one-use magical scrolls, characters use cyphers, devices that have varied effects, such as a gravity nullifier allowing you to float for an hour or a pill that enhances a character’s knowledge about a specfic subject for a day. 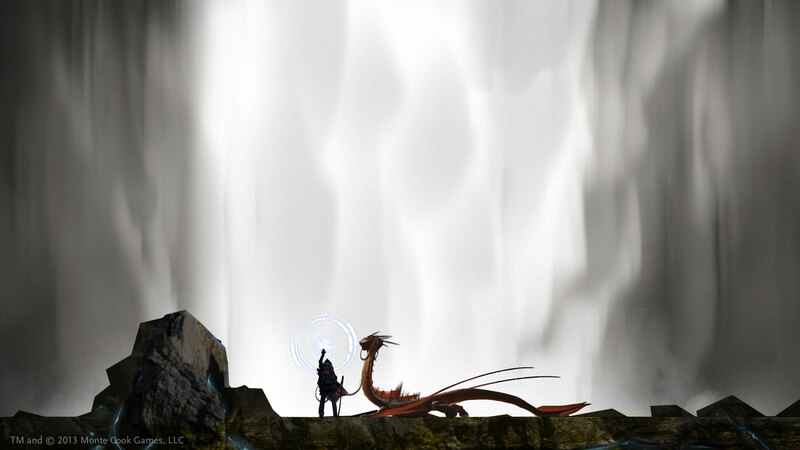 Most have just one charge, but in the Ninth World there’s a plethora of them to find, each with its own different uses. I’ll admit I had no idea who Monte Cook was until a few months ago. I didn’t even realize he was a major contributor to D&D 3.0, my first RPG game. But to be fair, at that time I was just excited to play the game and didn’t really pay attention to the creators. 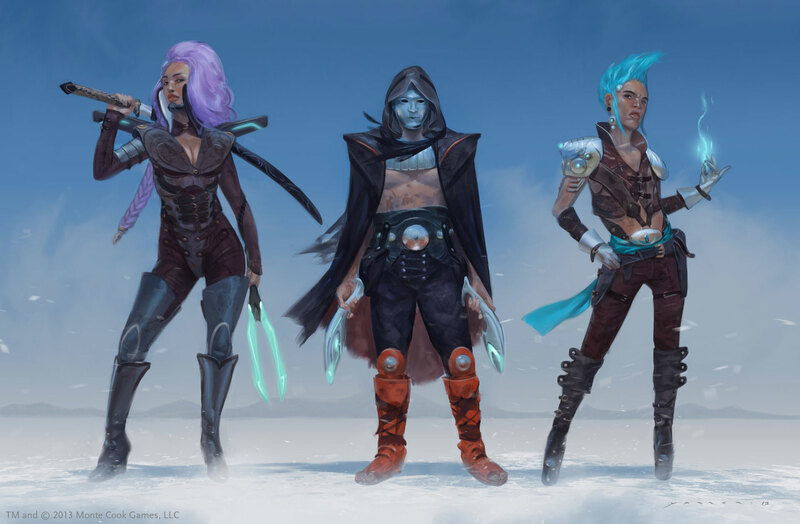 I’m just as excited to play Numenera now and this time I can’t help but pay attention to the creators of the game, since it’s just one person. I’m very much influenced by Cook in my approach to RPG gaming thanks in part to his writing in his latest game. 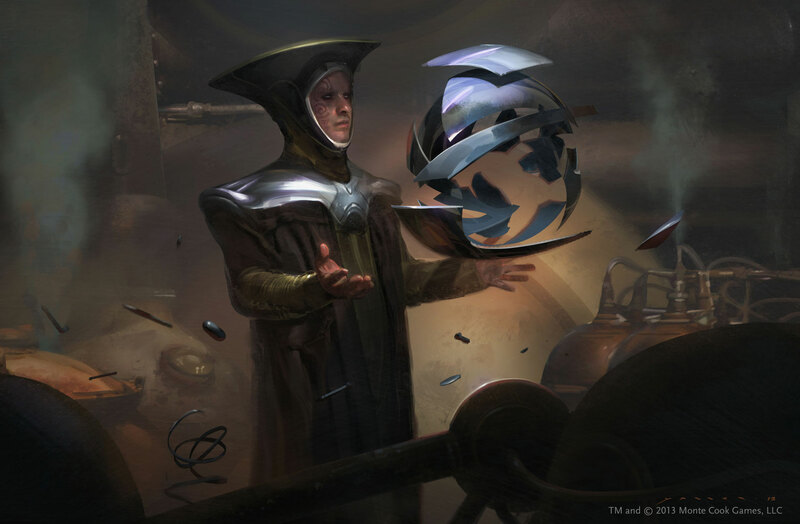 Taking place on Earth in the far future, with wonderous locales built on the previous ages, Numenera is a rich world that encompasses both fantasy and science fiction and combines them into a fantastic and weird setting. It’s unlike anything I’ve ever played before and I’m enjoying playing the game as much as just reading the book. This is exactly what I needed after getting burnt out and quitting RPGs a few years ago. This is what brought me back to gaming, and I’ll be staying for awhile.